Owing to the sprawling infrastructure, we have been successful in catering to the variegated requirements of the customers by providing a wide range of bru fresh milk Vending Machines. Our vendors manufacture this range keeping in mind the industry set quality polices and making uses of high-grade raw-material. This dimensional accurate and long life range is available in various designs, sizes and specifications, to meet the variegated requirements of our clients. We offer 4 Option bru fresh milk Vending Machine, 12 Option bru fresh milk Vending Machine, 10 Option bru fresh milk Vending Machine and many more in this range. We are a remarkable entity, engaged in offering a superior assortment of 4 Option Nestle Vending Machine. We have a trusted source of vendors who manufacture these machines with the help of the expert professionals and modern tools to ensure better efficiency and performance. 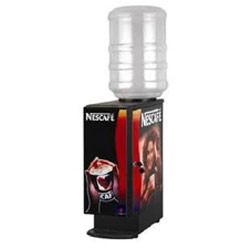 We are counted among the prominent business entities engaged in catering to the variegated requirements of the customers by bringing forth a wide array of 2 Option Nestle Vending Machine. With our expertise in this domain, we manufacture our machines as par the industry set quality parameters using optimum-grade raw-material. In order to meet the variegated requirements of our clients, we also offer these machines in customized forms as per the need of the clients. 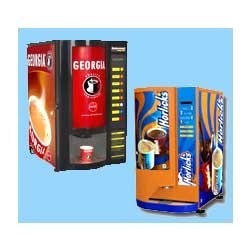 Our organization is instrumental in offering a wide range of 3 Option Coffee Vending Machines. 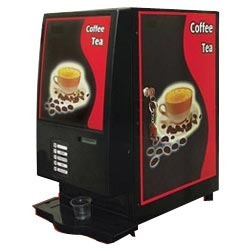 To manufacture these 3 Option Coffee Vending Machines, we are using best quality raw-material sourced from famed vendors of the market and ultra-modern manufacturing technologies. In order to cope with the variegated requirements of our clients, we provide this range in various sizes, specifications, designs and custom-build models. Looking for Bru Fresh Milk Vending Machines ?